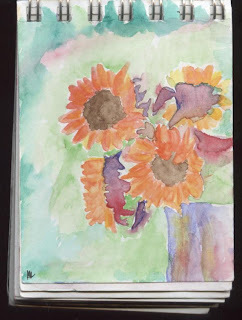 >Here is a watercolor I did of the red sunflowers Teri and I bought at Trader Joe’s. I decided not to sketch with ink first, but to just paint them. 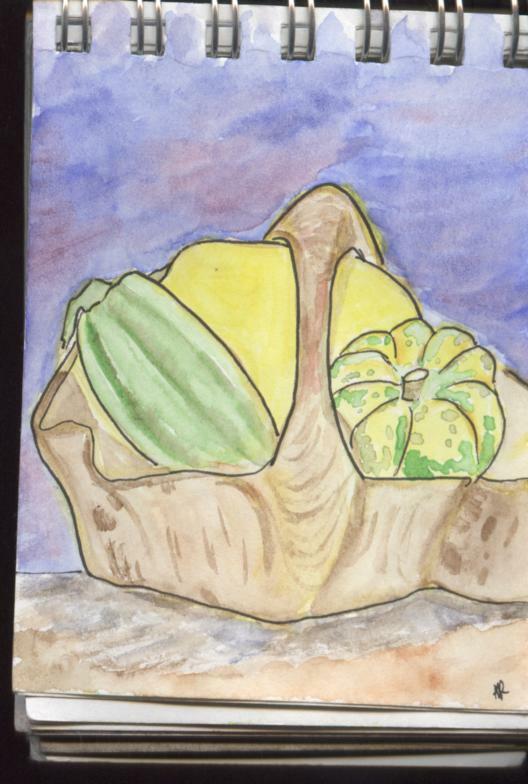 I did the same thing with these squash in the wooden basket. But then I outlined it all in ink afterwards. 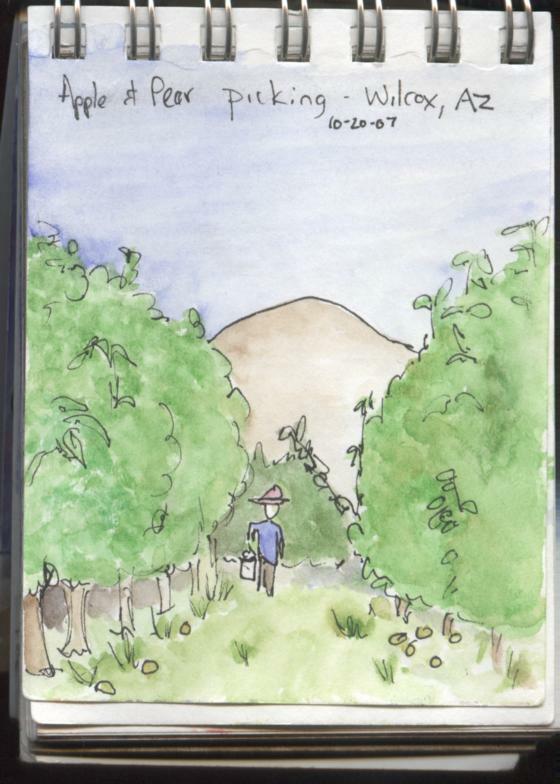 I was waiting for Tad as he ran into Safeway, so I sketched the scene in my rear view mirror. 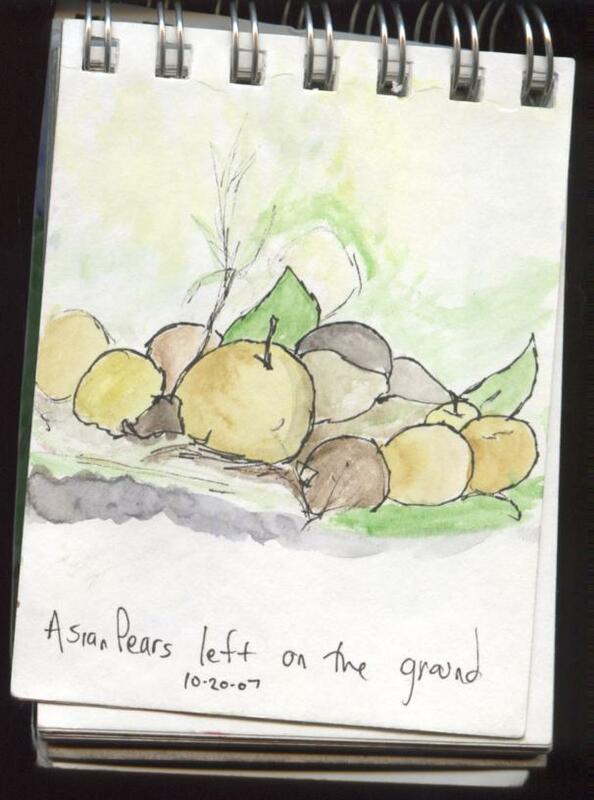 We took a road trip to Wilcox Arizona to pick some apples and asian pears. We also bought some pumpkins. There was a lot of fruit on the ground to rot, as well. 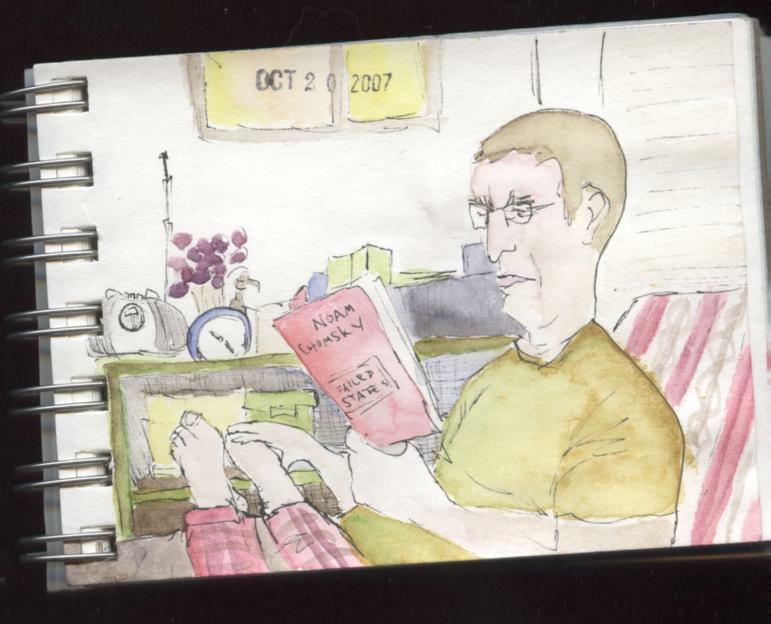 Once home and showered from our very dusty trip, Tad did some reading and a little bit of absent minded foot rubbing (which I LOVE) while I sketched the scene. And that’s the latest from my little mini sketch book! This entry was posted in tucson by Alanna Randall Beckwith. Bookmark the permalink. >I especially like the rear view mirror and rotting fruit. No accounting for taste, is there?!! And the random foot rubbing reminds me that some furniture rearranging might be to my benefit!! 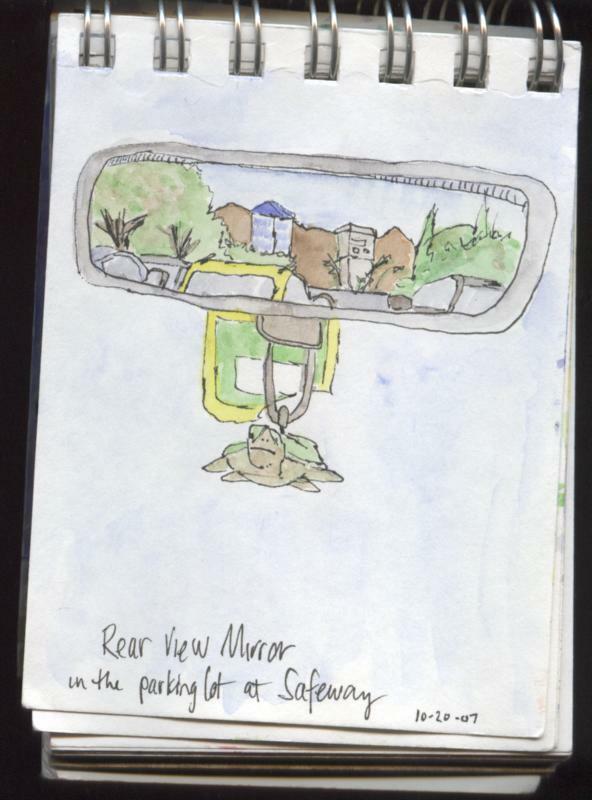 >I also like the rear view mirror and the comment on the ink and outlines. I struggle with the question of “outlines” or “no outlines” – nice to see someone else’s work on this topic. I like them both! >Great sketches! I especially love the last one. A great end to a great day.